Living in the Pacific Northwest we are surrounded by a great Cascadian wilderness. Our backyard is a veritable wonderland of craggy summits, old growth forests, glacially fed waterways, meadows of wildflowers, and oh so many huckleberries. It’s a trail running paradise. Inspired by such a landscape Aspire Adventure Running has emerged as a unique resource for runners who want to combine their fitness goals with the exploration of wilderness trails. Many of the most spectacular trails in the United States are located deep inside our nation’s wilderness areas and parks. Once designated, a clear set of guidelines and federally mandated definitions and policies protect these lands into perpetuity. Included in these protections is a limit to the kinds of events that can happen in the wilderness which, encompasses large competitive events. For the folks at Aspire precisely what is not allowed in the wilderness is what makes these spaces so inviting. In the wilderness runners will encounter remote technical trails, big vistas, and the opportunity for isolation. Accessing remote terrain requires the right gear and the right amount of logistical support. The Aspire crew are masters of backcountry operations and experts in taking care of trail weary runners. They handle permits, shuttles, and logistics for a each run and provide an experienced guide/runner on the trail in the event of emergencies. Off trail they stock a basecamp with hot showers, hammocks, and other creature comforts for an amazing experience. With every run they serve spectacular meals featuring gourmet burgers, grilled salmon, fresh salads, dutch oven cobblers, hand churned ice-cream, and of course coolers full of beer (or other recovery beverages of choice). Aspire is gearing up for their fifth operating season. They’ve dialed in their systems and have expanded their course offerings for 2019. 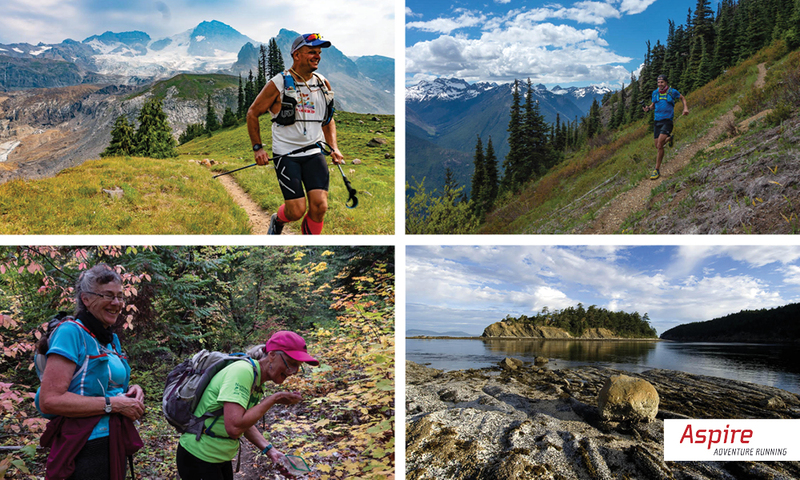 Whether you’re looking for a 50 miler or a half marathon in the North Cascades, want to try your first multi-day stage run into Stehekin, spend a weekend on Sucia Island, or take part in the Northwest’s annual Trail Running Festival and Symposium they’ve set up some impressive trips for runners of all abilities. For more information on their project check out www.AspireAdventureRunning.com. Note: GBRC members get 10% off Aspire Adventure Running’s “local” trips. Check out the great destinations right in our back yard! Sucia Island, Ross Lake Rally, Desolation Duo, and the North Cascades Trail Running Festival and Symposium. Use code “GBRClocal” when registering. Happy Trails. Writing down your goals helps you to decide the direction you want to go in your exercise routines, your nutrition patterns, and your life. Having goals also gives you a road map of how to get there. Studies have shown that if a person writes her goals down, her chances of succeeding at that goal increases significantly. Exercise Goal: I run 5 days per week for at least 30 minutes each time. I set my alarm for 5 a.m. each morning. I set out my running clothes, headlamp, reflective vest, shoes, and jacket each evening. I schedule my run on my calendar and keep it like I would any other important appointment. I want to hike in the Alps with my children and grandchildren. My dad had a heart attack at age 59, and I want to stave off any negative genetic disposition I have toward heart health. I want to run under a 7-minute mile on my 50th birthday. These are things that touch an emotional part of me and puts me in the game of making my goals happen. Now it is your turn. After you write down your goals and your personal reasons for achieving those goals, keep this list on your nightstand, bathroom mirror, and computer. The list will help you get out of bed when the alarm goes off at 5 a.m. for your morning run or help you refocus when you’re tired after a long day in the office. Haggen partners with GBRC for the Annual Haggen to Haggen 5K and proceeds from the event help fund scholarships for local college bound high school students and provide shoe vouchers for low income high school athletes. A $1000 running scholarship will be awarded by the Greater Bellingham Running Club to two qualified college bound seniors from Whatcom County High Schools. Candidates should have a current love and dedication to the sport with an intention to continue running in the future, however competing at the college level is not a requirement. The scholarship is intended for college related expenses (ie tuition, books, room & board). The decision will be made exclusively from the information provided in the application and the GBRC Scholarship Committee has the sole responsibility for choosing the recipients based on the core values of the club. 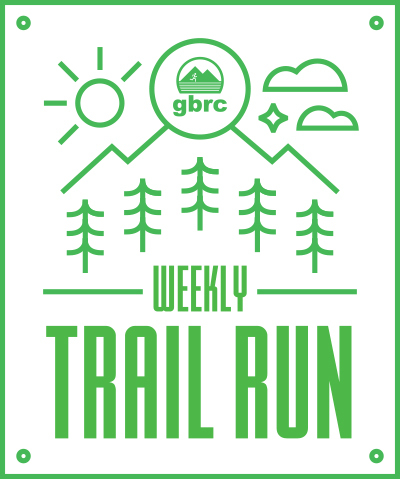 Join us for GBRC’s New Weekly Trail Run! We will have Facebook updates to let members know each week’s run details. Note: Please bring your headlamp until the days start to get longer. By saving them from landfill for reuse or recycling, we help less fortunate youth and adults while improving our environment by reducing our carbon footprint. The list of local organizations receiving your shoe donations can be viewed at bbayrunning.com/shoe-recycling. After local organizations have selected through your donated shoes, we ship the remaining reusable shoes to MORE Foundation. The proceeds from the shoes help MORE plant thousands of trees every year, which offsets carbon in the atmosphere. Non-reusable shoes get recycled via Nike Grind Program. Every pair of running shoes that stays out of landfill is a win! Thank you! Don’t miss out. Workouts are every Wednesday at the WWU track until further notice. You are now able to link your rewards card to your favorite nonprofit (GBRC) by following the link below. Whenever you use your rewards card when shopping at Freddy’s, you will be helping GBRC earn a donation from Fred Myers. If you do not have a Rewards Card,you can sign up for one at the Customer Service Desk at any Fred Meyer store. Online registration is available until about two days before the race. Day of race registration is also available starting at 8:45am. 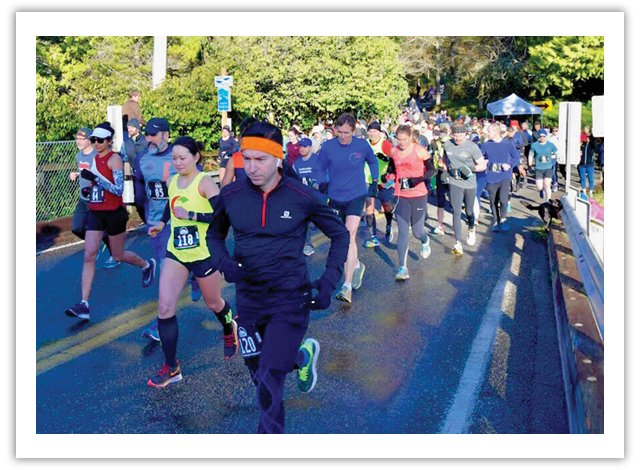 The day of the 2019 Lake Samish Runs, held on the second Sunday of January, dawned bright and cold. The roads were a bit slippery, but the sun was shining. Rainbow unicorns were ready with water, Gatorade, and shenanigans at the dog-leg aid station. Mother-daughter team Jessica and Abby Longbottom were expertly in charge of the lodge aid station (Abby is a young GBRC member who has completed several 5Ks and decided she wanted to give back as a volunteer). Over 40 other outstanding volunteers had the course and Lake Samish lodge ready. The stage was set for a spectacular day and the two Lake Samish runs were full. Runners towed the start line of the half marathon, which is two laps around lovely Lake Samish (plus a short dog-leg for full mileage) at 10:15 am. The 6.5 mile race started shortly after. Despite some icy turns, the two races were completed by a combined 287 runners. Cole Basta won the half marathon in 1:22:17. Close behind was Rebecca Mann, who placed second overall and was the first woman across the finish line, finishing in 1:25:50. Mikey Cobb was the first person over the 6.5 mile finish line in 35:57, followed closely by Rafe Holz (36:09) and Abbas Theophilus (36:50). Alma McMurtry was the first woman across the 6.5 mile finish line in 40:39. The masters winners were not far behind. Jason Yuryevich was the first 40+ man in the half marathon, finishing in 1:29:17, and Thury Gudmundsdottir was the first 40+ woman in 1:38:31. Beau Whitehead (42:11) and Jen Gallant (46:45) won the 6.5 mile masters divisions. Perhaps even more impressive, our oldest runner was 89 year old Keith Wood, who not only finished the 6.5 mile race in 1:25:36 but also eschewed the shuttle and walked to and from the shuttle parking lot. Our youngest runners were 11 year-olds Sydney Collier (45:21) and Greta Watson (53:27), who will surely be GBRC standouts for years to come. After the races, runners enjoyed a cozy fire in the Lake Samish lodge while sipping warm cups of coffee from Fidalgo Coffee Roasters and eating Orchard bars from Liberty Orchards. 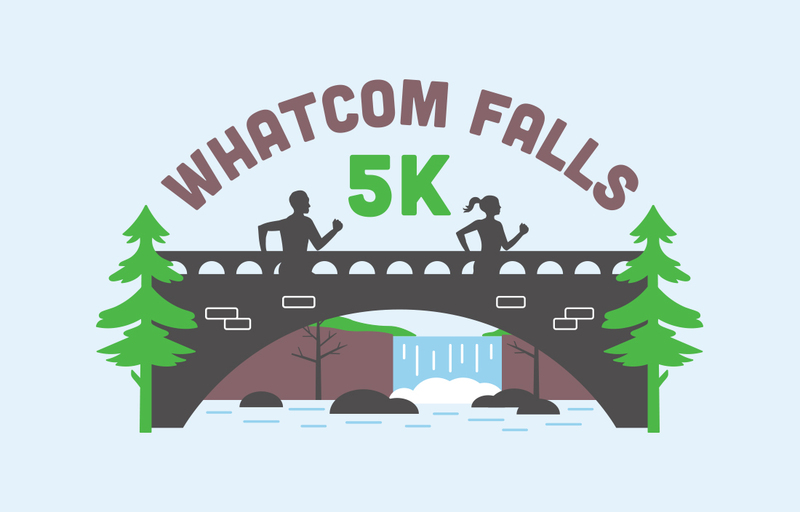 Some lucky runners won raffle prizes donated by our sponsors: Fairhaven Runners and Walkers, FidalgoCoffee Roasters, Casa Que Pasa, Kulshan Crossfit, Back Country Essentials, 5b’s Bakery, MountBaker Theater, Fyzical, and Fanatik. Thanks as well to our other sponsors: Oxford Suites and Peace Health. After several years of co-directing the Lake Samish Runs, Deb Donovan is leaving the race in the capable hands of Colette McNabb and Rex Hall. Perhaps next year she can run the race or participate in aid station shenanigans. Where did you grow up? If not in Bellingham what brought you to Bellingham? I am originally from New England in the Massachusetts and New Hampshire area. I originally cam to Bellingham for college and I fell in love with the environment and the people, so I stayed! I have lived in Bellingham for about ten years now. When did you first start running and what influenced you to start running? I didn’t start really running until about seven years ago. I had always been into other sports growing up, playing soccer and rugby, but I have asthma so running was always a challenge for me. I told myself that it would be really cool to say I ran a full marathon before I graduated. So, I signed up for the November Seattle Marathon. I signed up before I had even started training and even decided I liked running. I got on a training plan which brought the consistency into my life and I was hooked ever since! 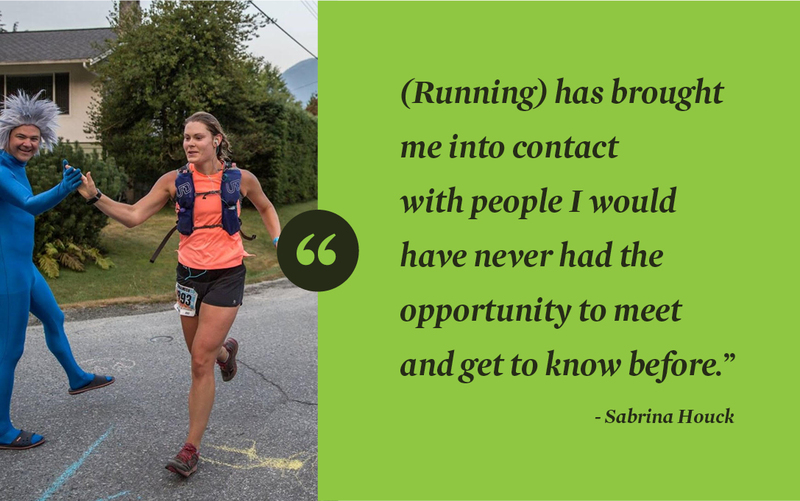 I ended up running a 50 miler before I graduated because I realized I really liked running. People run for many reasons and those reasons change as we get older. Could you share with us your reason/reasons for running and how they may have changed from when you first started running? At first, it was to see how far I could push myself and it was an outlet for a lot of the stress going on in my life. Lately, it has shaped into a social activity because there is just such wonderful people involved in this life activity. It has brought me into contact with people I would have never had the opportunity to meet and get to know before. So now, I run because I enjoy running, to live a healthy lifestyle, to get my dog outside and to explore new places with some really cool people. We’ve noticed you run 5ks to 100 milers. If you had to pick just one distance, which would it be and why? It I had to pick one distance it would most likely be a 50 miler because it’s a long, challenging run and I can see a lot of amazing places but it’s only one day. The 100K+ can go into two days and although I like seeing everything and being around hard working people, I like my sleep more. Tell us how you first heard about GBRC and how long have you been a member? I first heard of GBRC through one of the local running stores when they asked if I was a GBRC member. I hadn’t heard of them because I was new to the area. I found a race that they were putting on, and I realized what the membership entailed. The races were just the right amount of low key mixed with friendly competition! 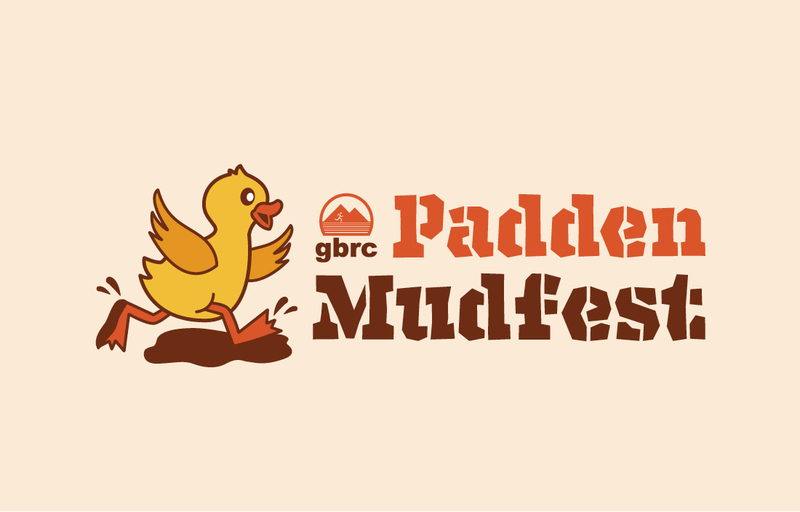 Which is your favorite GBRC Event and why? I love the Lake Samish Half Marathon. I run a lot of the races, but I always try to make it to the Lake Samish Half. It is something about starting the year with a goal to keep me motivated during the wet cold winter. If you could use only one word to describe your reason for being a member of GBRC, what would it be?